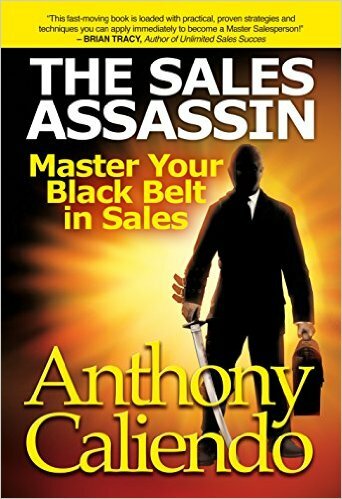 Best Seller Publishing announces the release of Anthony Caliendo’s new book, “The Sales Assassin: Master Your Black Belt in Sales.” It will be available for free download in the Amazon Kindle Store on November 16th. “The Sales Assassin” is the last sales book you’ll ever need to buy or read. Anthony Caliendo doesn’t tell you what you want to hear – he tells you what you need to hear! Today’s sales environment is more challenging than ever – buyers are getting pitched in old traditional ways, and are being assaulted with new marketing strategies. Your sales success depends on your willingness to learn and change direction; you must be willing to invest in your success and learn new skills, knowledge and methods that will differentiate you from your competition. 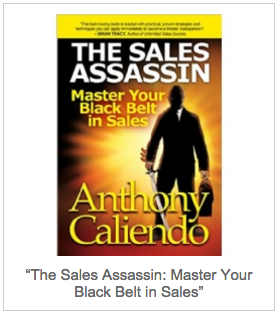 Anthony Caliendo is “The Ultimate Sales Assassin” and he can teach you to Master Your Black Belt in Sales. His 9 belts to become a Sales Assassin Master deliver proven, results-driven techniques that provide consistent high-performance selling. Prepare yourself for a new path to positive-thinking, self-discipline and controlling your sales destiny as a Sales Assassin Master. “The Sales Assassin” by Anthony Caliendo will be free and available for download on Amazon for 5 days (11/16/2015 – 11/20/2015) at: http://www.amazon.com/dp/B016X3PBH4. For More Information: For more questions or to schedule an interview about this press release please contact Rebecca, Author Liaison, at (626) 765-9750 or email info@bestsellerpublishing.org. Best Seller Publishing is a Los Angeles Publishing Company dedicated to helping business owners and entrepreneurs become “the hunted” with their best-selling books. Anthony Caliendo has been the Ultimate Sales Assassin Master for over 25 years as a sales and marketing machine, entrepreneur, corporate visionary and sales leadership coach with exceptional sales instincts. Caliendo has discussed his sales strategies on TV and radio, and has been quoted in industry journals including Salesforce, Small Biz Daily, The Canadian Business Journal, Focus Magazine, TK Business Magazine, AMA Playbook, Cheese Market News, HealthCare Business Today, In Business Magazine, PA Realtor’s, with a spellbinding book review in Digital Journal.